1. The first thing that you need to do is of course install/set-up conky. 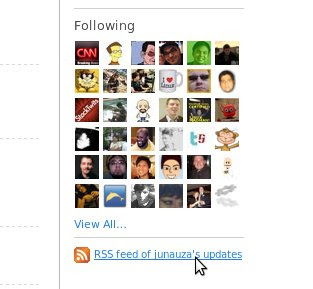 As indicated above, you should provide your own Twitter username, password, and that number before “.rss”. Now where do we find that number? 4. Don't forget to save, restart conky, and see the result. You can provide the number of statuses that you want to display by editing item_titles. Like I changed mine to 8. The number 20 indicates that the RSS feed will update at 20 minute intervals. I would suggest that you keep it above 20 minutes especially if you are using other Twitter desktop clients in order to avoid reaching the API limits and to stay away from congestion. Wow! this is seriously so much easier than anything else I've found. Thank you. It runs out into one long line and expands conky half way across my screen. Any way to force it to line-break? What he said - any ideas how to get it to wrap? I have tried a "| fold -s -w50}" at the end but it makes no difference. Basic Authentication has been removed, how we're gonna manage to log and get the rss feeds??? "Conky: curl: no data from server"